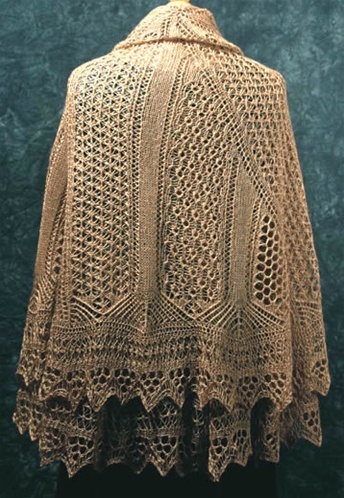 Light and airy as milkweed and thistledown, this shawl in Shetland lace evokes a feeling of being swept away by a breath of wind. 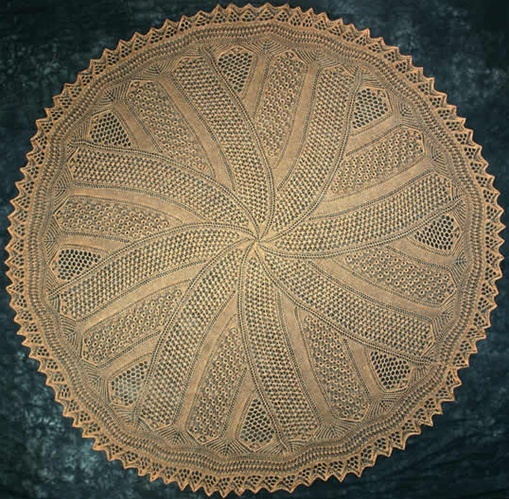 This shawl is begun in the center and worked outwards in rounds. 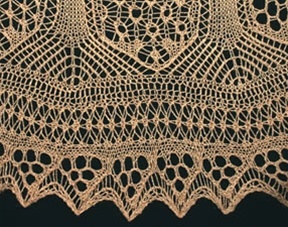 It is finished with a lace edging worked sideways. With lace shaping on every row this is recommended for experienced lace knitters. Finished size is approximately 70" in diameter. 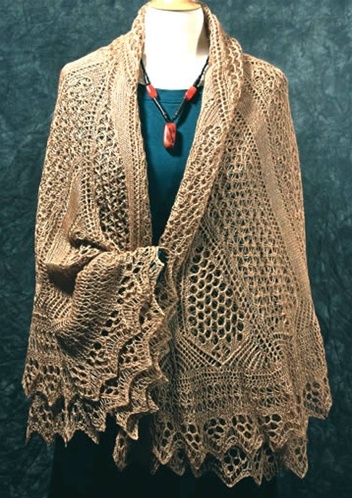 Uses about 2100 yards of lace weight yarn.